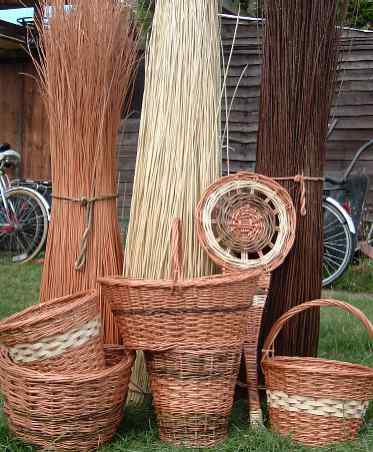 Most of the willow used for basketmaking is the "buff" colour. Other colours are available, but I may not have all colours in stock at any particular time. 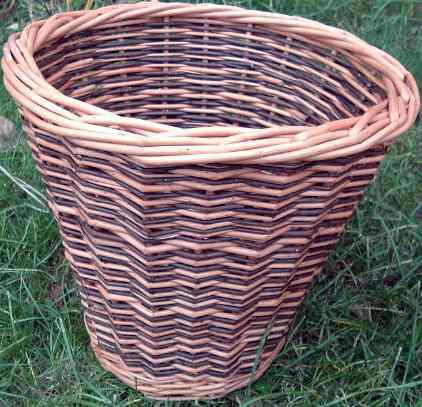 Usually, a basket can be made with detailing in different colours and I do not normally charge extra for this. 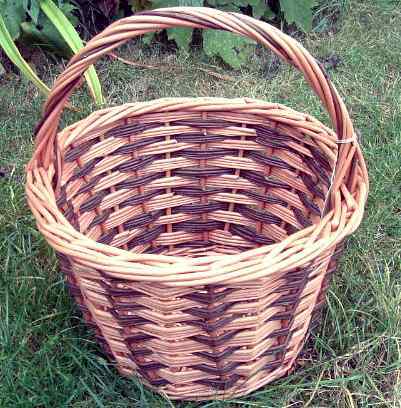 If a basket was to be made predominantly in a colour which I do not keep in stock, then a charge might have to be made. Note that all the colours vary depending on the year in which they were grown, the time of year they were cut etc. They even vary quite significantly between individual withies. However, you should find that items made at different times still go pleasingly together. All the colours are natural, none are pure or primary colours. 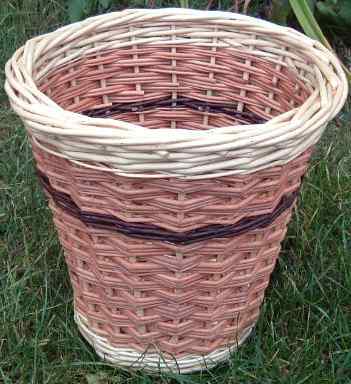 If you really want a basket in a pure colour, you can use gloss exterior grade paint suitable for wood to paint the basket. 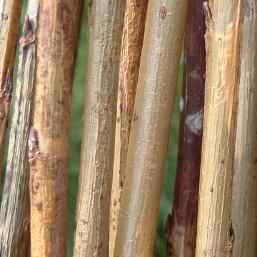 This is the natural colour of the willow as grown, with the bark on. 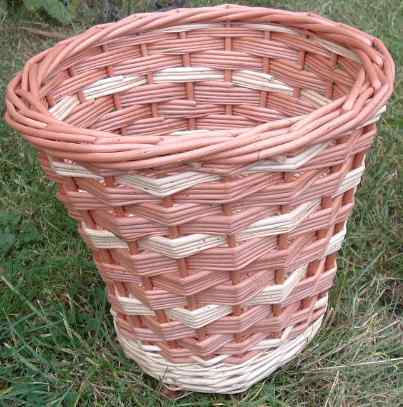 Mostly this is a green colour, but some willow looks closer to red. This is the natural colour with the bark stripped off. Note that the colour is closer to cream than pure white. 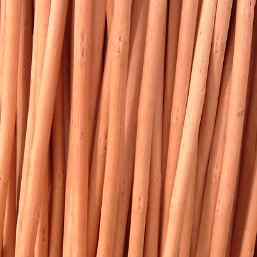 It looks white when contrasted with the other willow colours. This is the result of boiling green willow. It is a little darker than appears in the photo. This is close to the colour of dark chocolate. Throughout this page I have used the English spelling of the word colour. Hopefully, mentioning the US spelling of color here will help for indexing purposes. 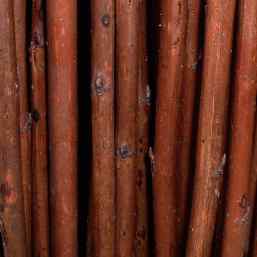 Alternating colour, using black and buff willow. White stakes, border and wale, also a black wale part way up. Alternate black and buff rand. 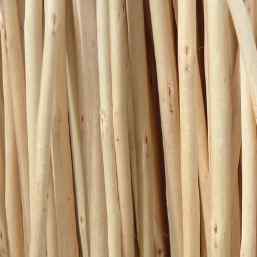 Spiral slew with white and buff willow.